At the recommendation of a friend in the boating industry I went out on a limb so to speak when I first thought about the SBW 26, my friend arranged a sea trial and I was immediately sold. Jeff and his team have hit a home run, the quality of the workmanship and rigging is outstanding, and I could not be happier with my decision to purchase the boat. 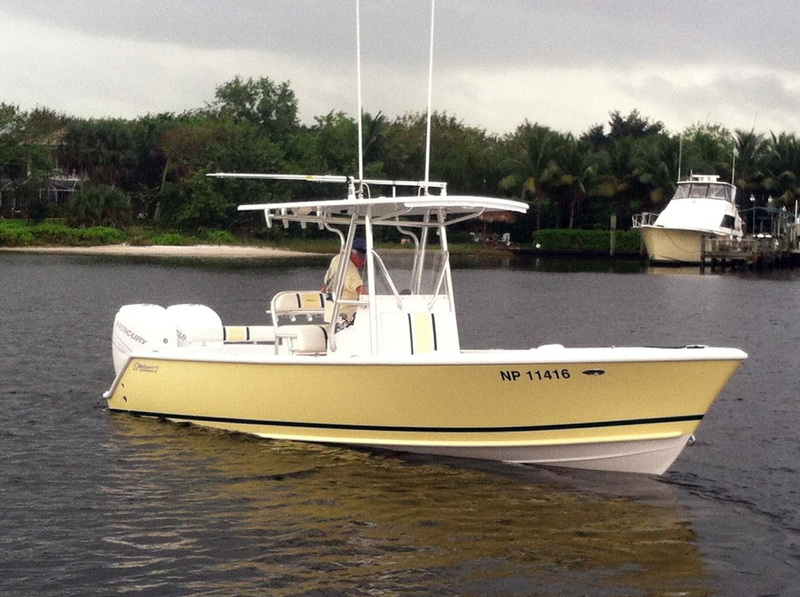 I live in the Islands and have owned and fished numerous CC type boats through out my life and must say that this one has proven to be one of the best. She provides a very stable platform at idle and high speed, and all turns, at any speed, seem effortless, there is never a feeling that the boat is out of balance. The SBW 26 provides a dry and comfortable ride in almost any sea condition which really gives you a lot of confidence should you get caught out to sea at the wrong time. Jeff and his team were a pleasure to work with from my initial conversation to the delivery of the boat, handling all of my questions and requests with the highest levels of professionalism. Jeff, best of luck as you move forward with this great product.